The Mary Wade Home is a senior living facility located in New Haven, Connecticut. 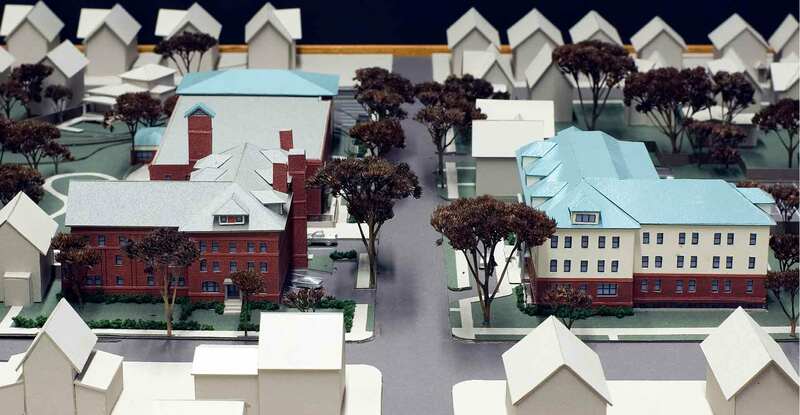 Kenneth Boroson Architects was retained to provide a campus master plan and to design a renovation of and addition to the existing 60-bed skilled nursing facility. 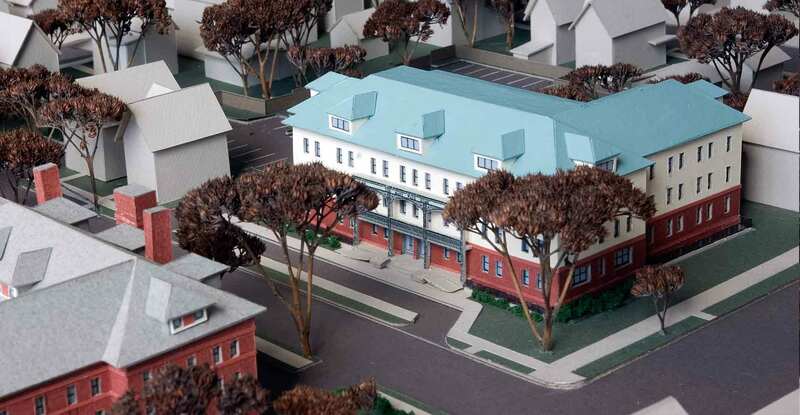 The renovation portion of the project upgraded the architectural finishes, the mechanical, electrical and plumbing systems and replaced the existing roofing system. Program revisions to the existing spaces now allow for a better standard of patient care as well as a better working environment for staff. 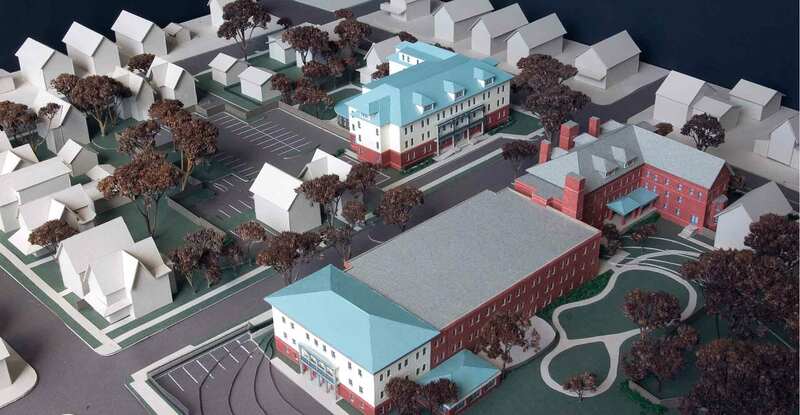 The addition included 34 beds and community spaces on two upper floors. On the ground floor, an expansion to the adult daycare was also included. Site and landscape work involved reconfiguration of the existing parking lot to accommodate the new addition. The building’s Italianate exterior reflects the character of New Haven’s Fair Haven community.